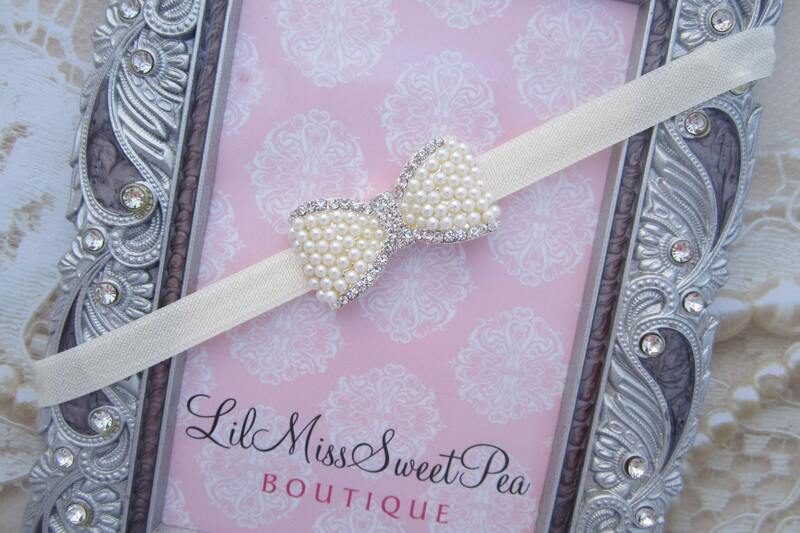 Pearl and Rhinestone bow on 3/8 inch soft stretch elastic. Choose your color elastic from the drop down menu. 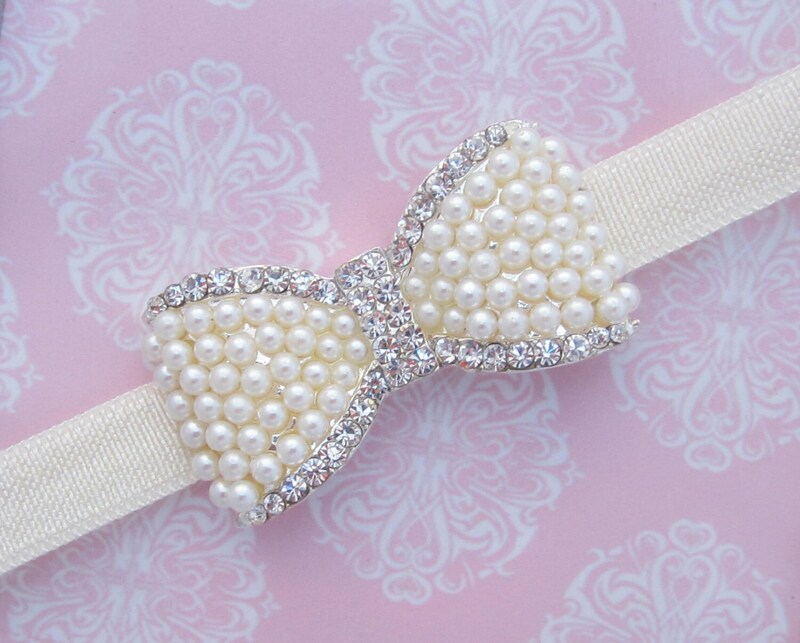 Pearls are off-white, they do not come in bright white. 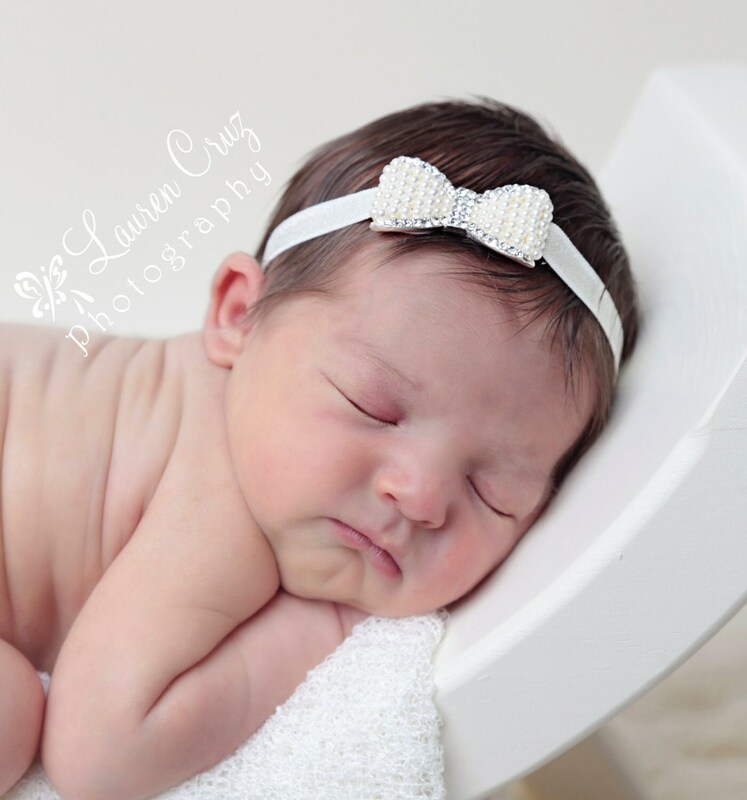 Fits newborn and up. Choose your Size. Beautiful, classy and well made! 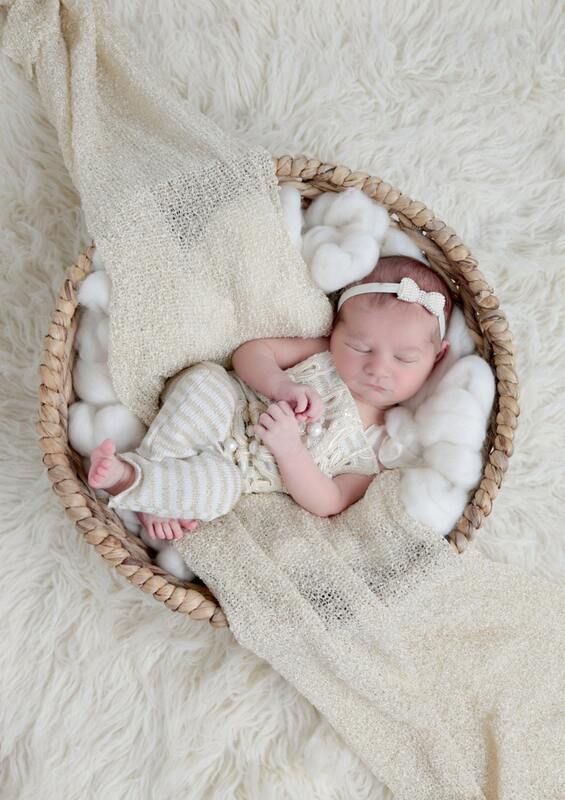 I can't wait to put it on my newborn this month!